It is said that nobody can understand something that they have never felt before. Insecurity is a crime that everybody commits. Whether we are the one who feels it or the one responsible for making others feel that way. 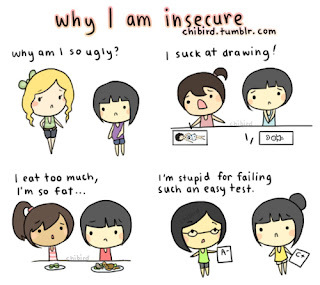 Insecurities have been a part of my life eversince I can remember. I've grown up with them and somehow they have dampened my confidence and have also changed the way I look at things. In short, I have been eaten alive by them with the thought that I can't fight them. Why is it so hard to just stay positive and just be self confident at all times? Even up to this day, I am still filled with them. No, I don't get to remember them all 24/7 but still they haunt me. As a woman, I believe I am prone to more insecurities. We, women, are all vessels of insecurity although some of us do not show it. My insecurities grew as a teen after being bullied and being thought of as different. I never really felt the need to be insecure before that but after ever that changed, I started becoming more self-conscious. That is one of the incidences that I wish to blame for this suddent change in me. As I grew to be me, I ended up becoming paranoid and becoming too concerned about trivial things. Like any other woman, I looked in front of the mirror and most of the time, I do not like what I see. I'm not happy with my weight or with how my hair looks. I'm not happy that I have bad teeth or that I can't be better than what I already am. Overall, I hated myself. These days, I rarely look at myself in the mirror anymore and when I do, I do not judge what I see for I know that it is superficial. If I can't be better or best in things that people notice then I guess I must strive to be better in something else to compensate for it. That's how I see it. 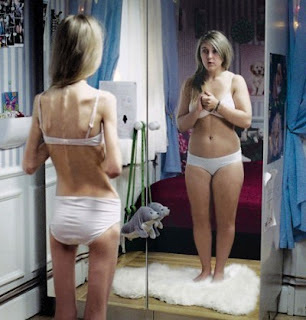 Comparison is one of the crushing reasons as to why people start becoming insecure. We question ourselves if we are good enough and we often think that there is someone or something better out there. Sure, we live in a competitive world but that doesn't mean that we should be pressured to comply with the norms as well. Sure, I have compared myself many times to other people before but I am doing my best to avoid it now. Unfortunately, even if we try to avoid it, there will always be other people who do their best to do just that. I hate it when people compare me with others. It crushes me to the core. In the end, I feel like I'm not worthy of anything and that I should have done better. We all have problems and insecurities and sometimes we forget the fact that it can ruin not only relationships and friendships but it can also ruin ourselves. I can't keep on living every day with the thought that my insecurities will continue to haunt me. Sometimes I have to forget about them and let them go. I know that only then will I be able to live a healthier life. Not a life filled with anxiety, guilt and hate. I don't want to be a negative person but sometimes some people just bring out the worse in me. I am still an insecure mess up to this day but I am not denying it so here I am writing all about it. I only wish that one day I'll be free of all of them. 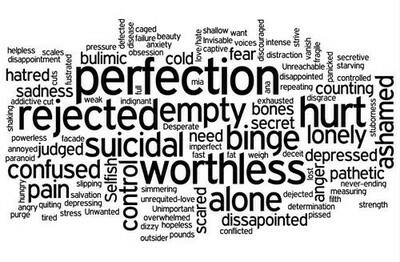 We can't all be perfect. We all have flaws and sometimes we have to understand that these flaws make us who we are and what makes us handsome or beautiful. Life isn't perfect as well so why strive for something so difficult to get when we can just be content with what we already have? I hope that we can all be better people who will no longer worry about things that really shouldn't matter when what really matters is that we be happy and satisfied with what life has to offer to us. I wish everyone would agree with me when I say this and I hope that everybody will learn something from what I wrote today. May we all live a life free with insecurities, guilt, anxieties and everything else negative out there. I no longer want to be bounded by something so invisible and yet so powerful. Now I believe that something not tangible can have a strong hold on people when we belive in them. 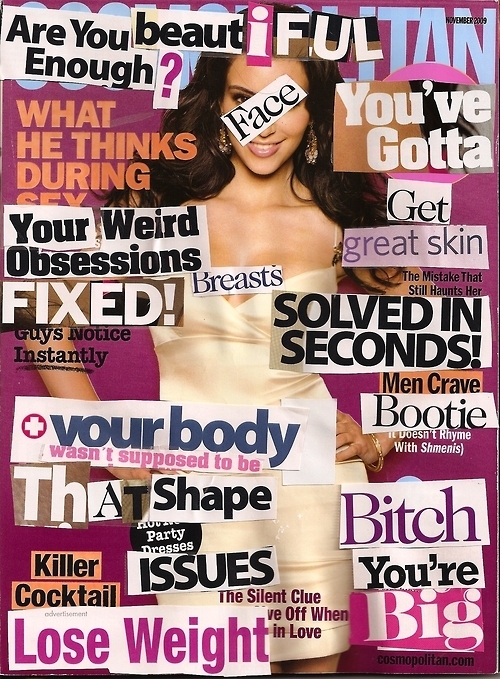 According to research, more women are insecure and not only because they felt it themselves but also because of the fact that the people around them make them feel insecure and the media itself is to blame for it. 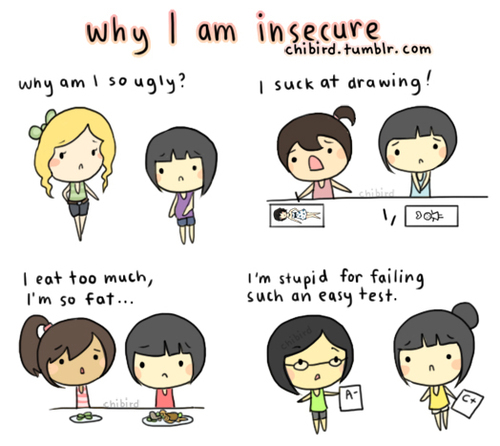 We all have different insecurities. I know mine. Do you know yours? FACT: Most women who look at themselves in the mirror do not see the actual beauty that lies in front of them but rather see someone hideous in front of them. Thus, insecurity arises. 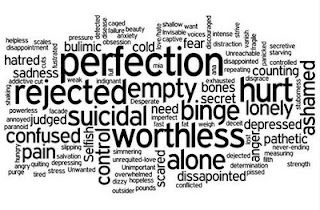 It's eye-opening when most women these days resort to social networking sites and blog sites to express their insecurities and how they really feel about themselves and their lives. I just wish people wouldn't be mean and become more understanding to the insecurities and feelings of others. Modern women think this way. Perhaps not all but to those who are insecure or have felt insecure, they have thought of everything in this made up magazine cover. I just wish we'd concentrate our time of being insecure towards something else more productive. Let's face it. We can't all have hot bodies to flaunt or beautiful skin to touch and so on pero at least you feel like you are beautiful and you are still confident with yourself despite what the mirror and everybody else tells you. I'm someone who has lots of insecurities but I am trying to feel better about myself these passed few years. What? 55kg was anorexic to you? I wonder how much I weigh now. LOL!